Since we work with so many great restaurants (Another Broken Egg, Egg Harbor Cafe, The Original Pancake House, etc.) it only made sense that we put our creative forces and top notch production skills toward our version of the 1950’s diner mug. When it came time to name this 11 oz. beauty, we landed on one that everyone would recognize. The Diner Mug! 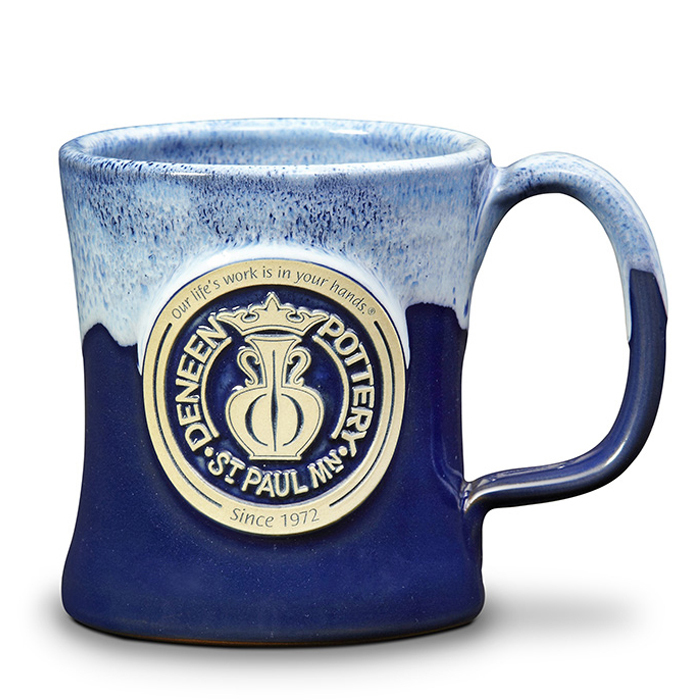 Glaze: Navy w/ Powder Blue White Industry: (We work with many different industries) Capacity: 11 oz.